Voted the “least likely to succeed” at school, Peter Alexander is a true entrepreneur. 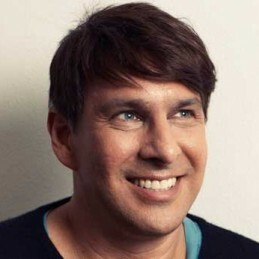 Founder of Peter Alexander Sleepwear, Peter grew the company from a single man operation on a living room table to an internationally recognised sleepwear business and brand name. With the support of his parents, Peter began making women’s pyjamas for the wholesale market, working from his mother’s living room table. He worked like this for four years and in the early days was the only person working in the company. When the phone rang, in order to make the business seem bigger, Peter would pretend to be someone else. When a department store cancelled an order for 2000 pairs of pyjamas, Peter’s biggest set back became his biggest opportunity. In desperation, Peter put a mail order advertisement in Cleo magazine. The response was overwhelming and Peter was flooded with 6000 orders from one advertisement. Since then, he hasn’t looked back. A few years ago, having felt he had taken the business as far as he could, Peter sold Peter Alexander Sleepwear to Just Jeans. At the time of sale, the business was making $6 million per year and growing by 40% each year. Part of Peter’s arrangement with Just Jeans is that he continues to run Peter Alexander sleepwear for five years. He currently manages the company and employs eight full time staff and twenty casual staff.